A brace of seminars and summits focusing on the key problems small and medium-sized enterprises face have attracted global officials, leading economists and entrepreneurs to exchange their views at the 14th China International Small and Medium Enterprise Fair. The significant event is being held in Guangzhou, capital of Guangdong province in southern China, beginning from Oct 10. One of its highlights is an Asia-Europe Meeting seminar focusing on multi-dimensional support for financing SMEs. ASEM is an organization established in 1996 to foster cooperation between the two continents — and facilitate international dialogue. “SMEs have become a pillar for the economic development of Asian and European countries and are their most innovative and dynamic enterprise group,” Zhang Feng, Party committee member and chief engineer of the Ministry of Industry and Information Technology, said at the seminar. 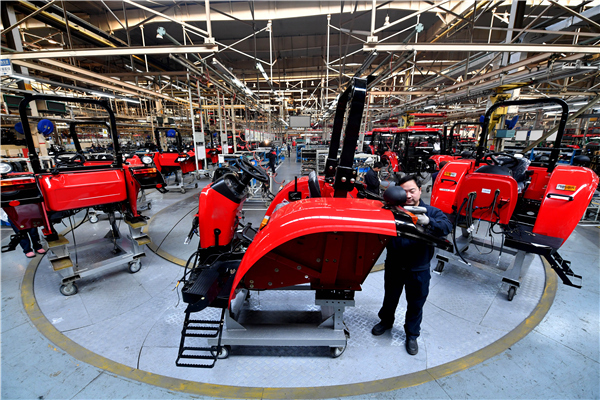 SMEs account for 99 percent of China’s total number of enterprises. They contribute 60 percent to the nation’s GDP, 50 percent of its tax revenues and 80 percent of the total number of jobs. To solve the difficulties in SME financing, China’s government set up a 60 billion yuan ($9.1 billion) development fund to support startups, Zhang said. ASEM senior official Xie Bohua said that Asian and European countries faced increased challenges over financing after the international financial crisis. “However, Asian and European SMEs have their own advantages and are complementary,” Xie said. Liu Qiang, vice-president of the Bank of China, said that it had created a services model for SMEs and cross-border SMEs and a special credit approval process responding to the risks and financing characteristics of SMEs. Laura Egoli, consul-general of Italy in Guangzhou, said her government had set up increased funding for SMEs, especially those established by women and young entrepreneurs. In 2017, the government provided 45 million euros ($53.4 million) to support SMEs. Ma Xianghui, director general of the SME bureau under the Ministry of Industry and Information Technology, said that to relieve the difficulties involved in SME financing, China would improve the laws governing SME development, promote cooperation between industry and finance, and promote the construction of a credit guarantee system for SMEs. A total of 28 guests from China, Italy, Croatia, the Philippines, Thailand, Egypt, France, Indonesia and Malaysia shared their opinions at the summit. More than 300 officials from 23 countries and representatives from financial institutions attended the seminar. The China SME Summit is another highlight of the fair. Its aim is to organize and mobilize society to support micro, small and medium enterprises. With the theme “new thinking, new motivation and new manufacturing,” the summit invited Chinese and South Africa officials, leading economists and representatives of entrepreneurs to exchange views on measures and achievements in supporting SME development. South Africa’s Minister of Small Business Development, Lindiwe Zulu, said: “Many SMEs have pointed out that their growth and sustainability is hampered by a lack of access to markets in South Africa. Edith Vries, director general of South Africa’s Department of Small Business Development, said that the vital significance of SMEs should be noted. She added that the responsibility of policy makers to develop effective policies and measures, to improve the environment for SME development, should be emphasized. Philippe Scholtes, managing director of the United Nations Industrial Development Organization, said that SMEs needed technology, human capital, energy, quality production, industrial organization and a conducive business environment.